Now, in the first study of its kind, published today in the journal PLOS One, Bristol PhD student Zoe Muller has found that if lions are kept in the same conservation area as giraffes, the number of calves is likely to be reduced, maybe as much as 82 percent. Zoe, based at the University's School of Biological Sciences, said: "It is thought that lions preferentially target giraffe calves in the wild, and there is anecdotal evidence of this, including observations of lions eating young giraffe carcasses and of lion claw marks on adult females (thought to be a result of them defending their calves). "However, no-one has ever investigated if this preference for hunting calves has an impact on the population as a whole." This study investigates how the population demography of giraffes differs between two adjacent sites - one with no lions, and one with a high density of lions, and found that the presence of lions has a significant impact on the demography of giraffe populations. In areas containing no lions, the giraffe population contained 34 percent of juveniles (individuals less than a year old) but in the presence of lions it only contained six percent juveniles. Zoe added: "This research has significant practical implications. 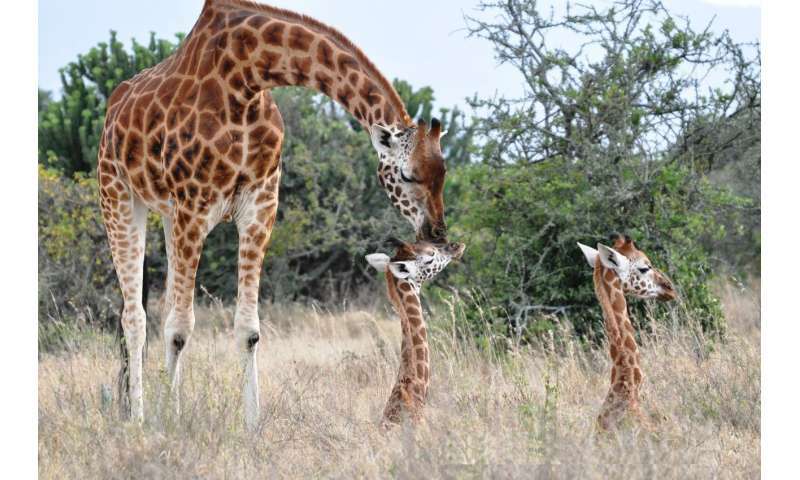 Giraffes are a threatened species, suffering ongoing decline in the wild, and this research highlights how managing giraffes alongside lions inside a conservation area (a common practice in Africa) has detrimental effects for giraffe populations. "The continual loss of juveniles within a population due to lion predation may lead to an unrecoverable situation where the population crashes, since population growth and sustainability rely on enough calves surviving until they are sexually mature. "This research highlights the need for an urgent reassessment of how populations of giraffes are managed in the wild, given their Vulnerable Red List status and severe and ongoing decline." The next steps for this research will be to replicate the findings in other areas of Africa. This is one case study from East Africa, and more research is needed to see if lions create the same effects in other giraffe populations. 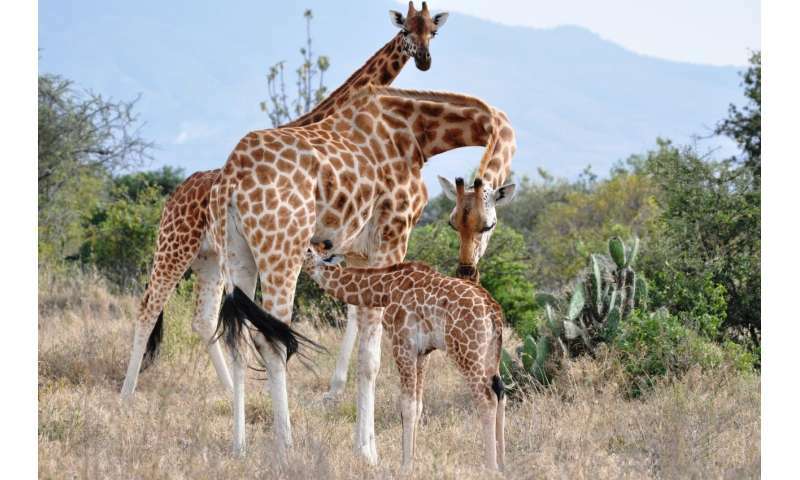 More information: 'Population structure of giraffes is affected by management in the Great Rift Valley, Kenya' by Z. Muller, PLOS One, 3rd January 2018. Giraffes are seven to nine species, depending on the interpretations given to the genetic data. Anyone stop to think that this is "evolution" in action? Evolution created giraffes in the presence of their predators. Humans have created this great park where animal numbers and distributions are entirely due to their activity. So they have no choice but to manage it like a park, if they want it to survive at all. This can mean redistributing predator and prey, or culling them. But it also means that natural selection is no longer a major factor.